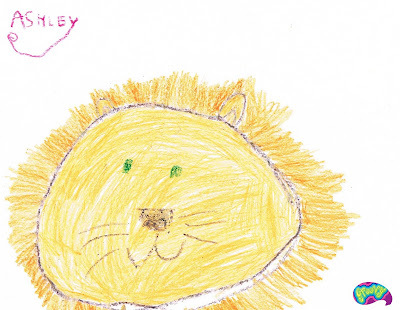 And a friendly lion, by Ashley. 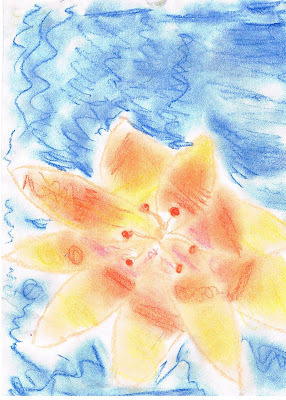 artwork of my creative kiddywinks. Hi there! What beautiful artwork! My kids are barely mastering stick figures at this point, so we have a ways to go. What a neat idea for a post, though! Thanks so much for stopping by & following me. I'm here to return the favor! this reminds me that I have a whole file cabinet full of art that I need to put in a scrapbook or something. Love kiddo artwork! TOO CUTE. I have a bunch of my kids crap in boxes. I should do something constructive with it, but I probably wont. Hmmm.